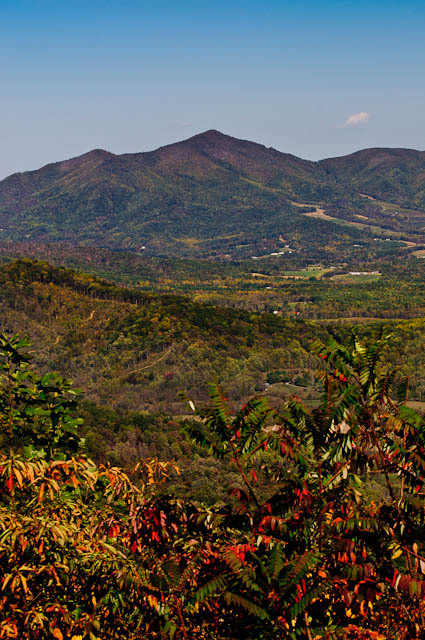 This will be my last 2010 Blue Ridge fall colors photo to post. When I stopped at an overlook to take this photo, several older couples (older than me) were there. One lady said to me, “Are you a professional photographer? If you are then it’s a shame that all those weeds are in front of your view.” I just nodded and smiled. Actually, I liked “the weeds” as they were very colorful and added a lot to the scene.